As business consultants and advisors, we all use frameworks to allow us to take a systematic and easily understandable approach to business analysis. 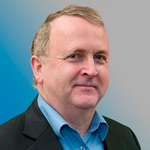 As a former lending banker and management consultant for the past 35 years, I have devised my own 28 point business analysis framework for analyzing businesses. 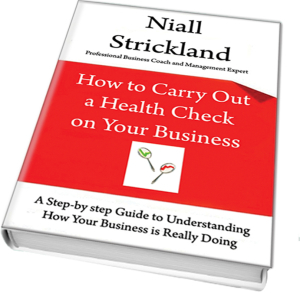 I simply call it the 28 Point Business Analysis Framework or Business Health Check. In my experience, it makes sense to get a 360-degree view of a business at the beginning of any engagement and the 28 points of my framework ensure that every key function is considered. The danger in just looking at a single key function in isolation is that problems in one key area of the business may in fact be caused by problems in another area. For example, a client may identify a marketing problem in their business and engages you to look at this particular problem, whereas the underlying issue may in fact be a management or financial issue rather than a marketing one. 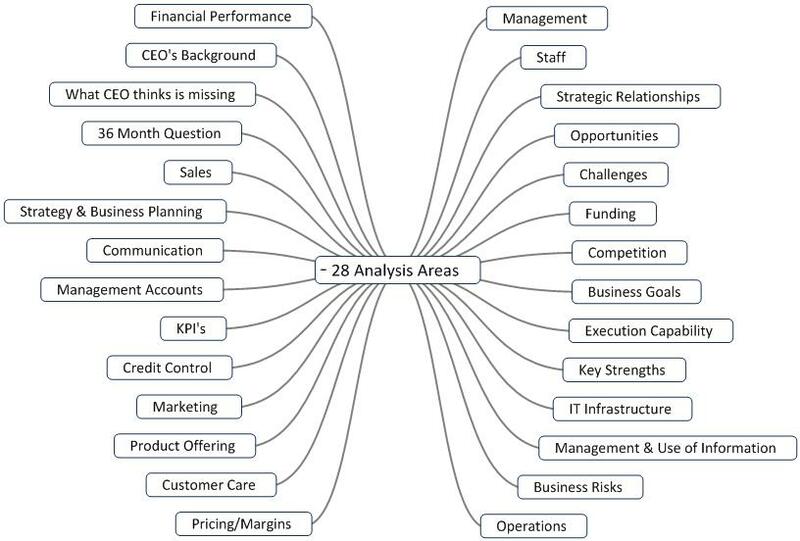 I usually separate financial analysis from the 28 Point Business Analysis Framework. The concept behind the framework is that financial results are derived from management decisions and they often come long after the decisions have been taken. For this reason, the framework examines management decisions in each of the 28 functional areas, which in turn dictates the financial results achieved. I also use my own financial analysis model that spreads the numbers from one to five years, so that trends in the business can be easily identified. This is used to confirm that the overall assessment marries with the financial results of a business. Potential clients almost always appreciate the fact that I value their time and that I ask them to answer a series of questions that will give us both clarity, purpose and a clear agenda if we agree to meet once the screening questionnaire has been completed. I have automated the delivery of the screening questionnaire in several cloud-based software applications. I have used this business analysis model for 15 years in my consulting practice and it has never failed to generate a scorecard that matches what is going on in client businesses. The automated version has been used on hundreds of different businesses over the last 4 years. Can it be used in any Industry or Segment or is it Industry Specific? I am sure that most business consultants or advisors will agree that the fundamentals of running a business properly does not differ significantly from business to business or from industry to industry. Also, the fundamentals of good management are international in nature and so there is no geographical limitation to the model’s use in different countries or continents. There are particular nuances in certain verticals, but this is not significant enough to skew results. Where can I get access to the 28 Point Business Analysis Framework?